Collinite’s Marque D’Elegance is formulated from the purest concentration of Carnauba waxes. Car enthusiasts demand a wax proven to protect their classic, high performance or collectable vehicles in demanding environments, rain or shine. 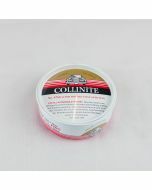 They know Collinite’s Marque D’Elegance is formulated from the purest concentration of Carnauba waxes. 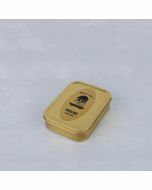 It protects with a lustrous shine that goes down deep to lubricate and feed expensive paint jobs. It’s totally non-abrasive and clear-coat safe.Collinite 915 Marque D’Elegance wax boasts Collinite’s highest amount of rare carnauba; yielding the highest gloss and warmest shine to darker, meticulously maintained finishes. 1.) Apply with a clean damp cloth, allow to dry to a haze. 2.) Polish off with a microfibre cloth for amazing results.